Lippy in London : Strawberry Curlers! After perusing the wonderful musings of Terri Lowe a little while ago, I was introduced to these rather unusual and extremely kawaii hair rollers. Essentially, they're giant foam strawberries that you use like regular rollers, but you get the bonus delight of looking like a walking strawberry patch. These unusual little contraptions are affordable, hilarious and squidgy enough to allow for a relatively pain free slumber. Like regular velcro rollers, you simply curl your hair up in these but the twist is that the strawberries are almost in two halves, with a thinner piece of sponge in the middle.This thin centre of the strawberry is the part that you wrap your hair around, and when you're done, the thicker halves on each side sort of anchor the curl securely. A little hard to explain perhaps, but hopefully you get the idea! I've been putting these in on slightly damp hair with a few spritzes of Aussie leave in conditioner and a little dollop of Samy Fat Hair Thickening Creme for extra hold, before nodding off. I had these in for about ten hours before unraveling them this morning. I'm really, really pleased with how the curls turned out and I'm happy to report that they're still going strong as I type this now about 14 hours later! The only real issue I have with the Strawberry Curlers is that I did have a bit of difficulty getting some of them out and I'm pretty sure I may have pulled out a bit of my hair in the process. 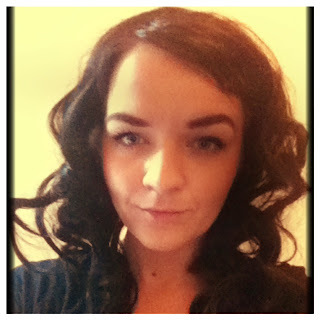 In my opinion, it's a small price to pay for lovely bouncy curls that worked considerably well on my long hair. Wanna wear strawberries on your head for the night and wake up with long lasting curls? 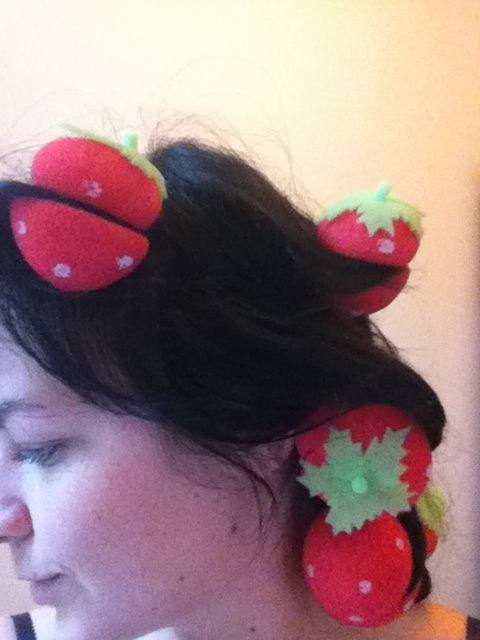 You can buy 12 strawberry curlers for under £2 from Amazon. I might have a look at these. 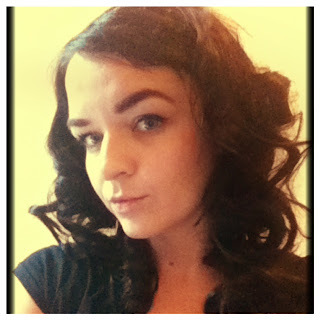 I have been trying to find "sleep-able" curlers! Great post - you look lovely! I found your Blog on MissNikki's blog hop and I'm so glad I did! Keep up the fantastic work! I'm your new follower sweety. wow they look so cute and really turned out very well! I might have to try them out myself! thanks a bunch for following my blog, I love your ukulele in your profile picture! I'm getting some of these for sure!